These flies are tied on heavy wire size 8 hooks a little longer in the shank than a standard wetfly hook. They are useful on loch, river and in the estuary. 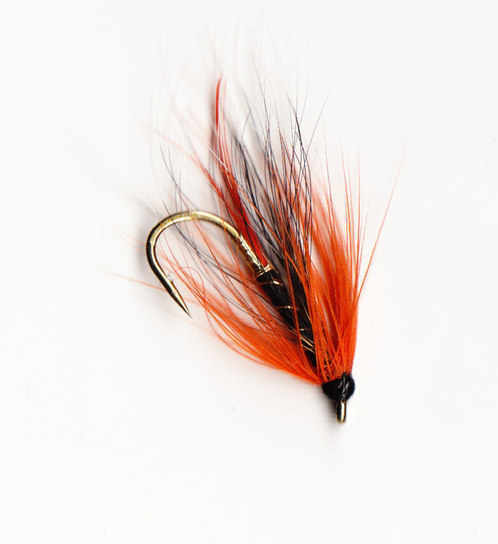 Use as a single fly they can be cast at sea trout feeding in brackish water, on a windy day on a big loch fish on the point with wetfly/spiders on droppers, fish a single fly on an intermediate line to search slack water on a sea trout stream. No doubt there are other uses! A mix of traditional and modern patterns are included. 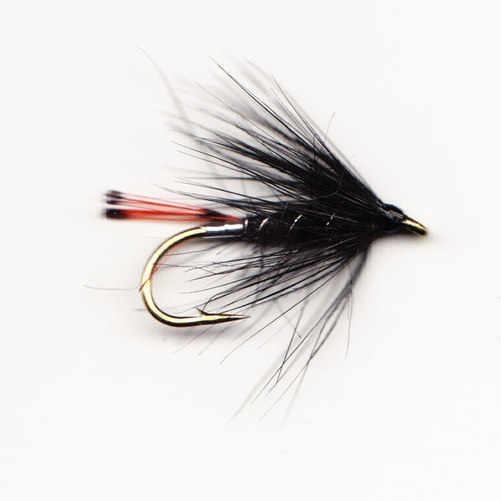 This is an especially useful fly for winkling out larger brown trout on the loch. Looks like all manner of aquatic life from Dragonfly Nymphs to Water Beetles. All time favourite for sea trout on loch and river. Use this tying on the point with smaller spiders on droppers. Always worth a cast as the light goes. Tied with a tail that doesn't project too far past the bend of the hook, I am not over sure that coming short is because tails are too long but it suits the style of this fly well. Age old black & silver combination essential on any wild trout and salmon water. Tied with a smaller head than some muddlers so the fly sits lower in the water than some tyings. It still creates a fair wake on retrieve that will bring salmon, sea or brown trout up. 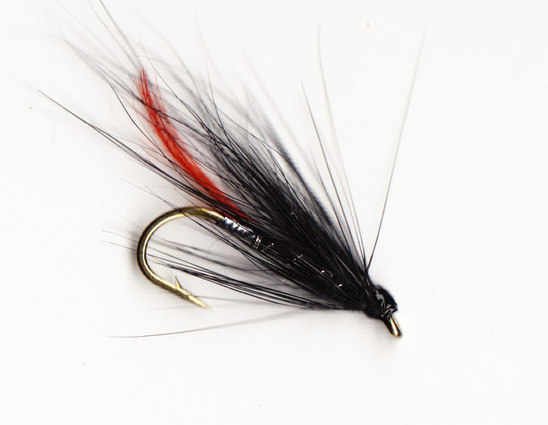 Fish the 'Hebridean Cast' this fly on the bob and a smaller Black Spider on the point, ideal for loch or river. Use this on the top dropper on loch or river for all gamefish. Tied with lots of hackle and deer to give the fly a good footprint on the water that brings fish up. Try this on sand eel/elver feeding sea trout in saltwater lochs, tidal pools and anywhere else where you find feeding sea trout. Works fished on the drop which is very handy if you are fishing in a kelp bed and retrieving is difficult or stripped. These are smaller than the other saltwater sea trout flies listed, some days the fish want large flies others smaller. Another age old classic, certainly has the look of small fish about it and a proven record on many waters for many years. Tied short to keep the dressing within the hook, super combination of colours taht fish love in any light/water condition. 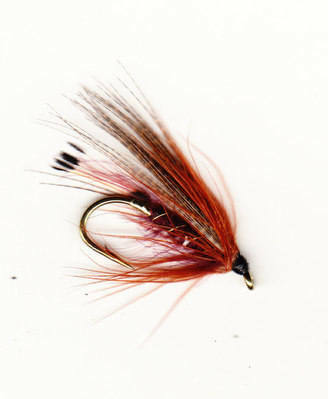 The older style wetflies are proven fish killers and you ignore them at your peril! 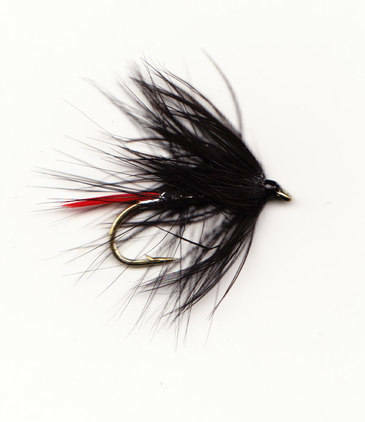 Age old colour combination, black, silver and red create this first choice wetfly on loch or river. 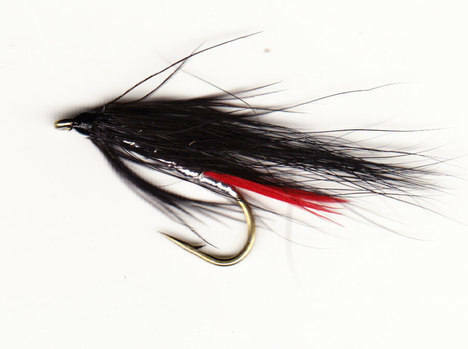 An all hackle version of the classic pattern, lots of action, super on the bob for all gamefish. 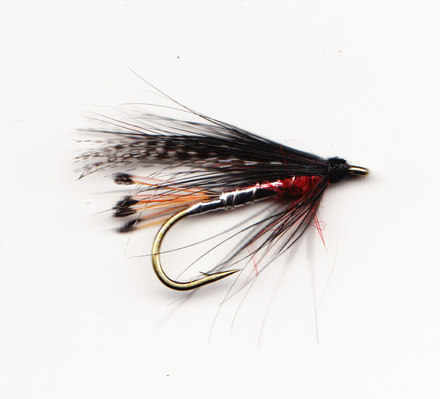 Probably the most useful wetfly to have in your box when fishing any loch or river in the Highlands and Islands. This tying will tempt salmon, sea and brown trout. Tied with a hot topping tail. Orange shows up well in peat stained water so no suprise that this is a popular patterns in the Highlands and Islands. Use on the point with something bushy on the bob. I found this tying in an old Trout and Salmon, it was tied ithe 1920's as a swiming minnow pattern. Looks far more alive in the water than model flies. Tied on a longshank hook in natural colours. This fly looks great once in the water, tied with some lead and flash.